Heartaches by the Number crooner “Strick” Strickler …66 years ain’t bad! This week we want to send a heartfelt shout out to Floyd “Strick” and Meta Strickler in celebration of their 66th Wedding Anniversary! It was a little more than a year ago in October, when I had the delight of dancing with Strick before he did his set with Quenby and the WOW Band at Stacey’s in Gallatin Gateway. He told me then that ‘next year’ would be he and Meta’s 66th anniversary… and that their wedding dance had been right there, at Stacey’s (! 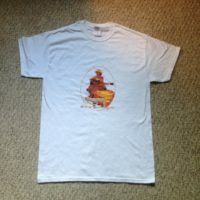 ), all those years ago; AND Strick’s Band, The Wranglers, played music for it! I have since heard an endless bounty of musical stories and adventures of the ‘Life and Times’ of “Strick” and his talented family. Mostly though, I continue to appreciate this local legend as he brings it to the stage, at a spry 86-years-young, for all of us – a Legacy of Americana Music from Montana. This song is written by Harlan Howard, and sung by all the greats of country – i.e. Strick Strickler! Always a pleasure and an honor to support our musician story tellers! We can safely say that this is not Strick’s ‘True Story’ with his lifelong beloved; and as you can see, Bozeman was out dancing and enjoying this timeless tune and grandfather of our Gallatin Valley. You’ll see Strick out regularly as a special guest with not only the WOW band, but so many others ‘Western Electric’, ‘SlomoJoe’, ‘Little Jane and the Pistol Whips’, and the ‘Heather Lingle Band’ among others. We’re hoping he’ll be out this Friday and Saturday with us at the Bozeman Legion – see you there! This entry was posted in Weekly events and tagged Quenby, Quenby and the West of Wayland Band on November 15, 2016 by admin. 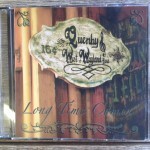 Listen to Quenby on Music Ranch Radio …and Turn Your Day Around! It’s November and Quenby is back in Montana-land hitting the ground running… Check out the Upcoming Events to get out and treat yourself to a spirited night of roots music! And, in the meantime, if you missed it live, you can check out Quenby’s radio interview from October 18, 2016 – with Jimmy Kujala on musicranchradio.com. You can check also find the links to this and other shows now through the link under the ‘Press/Interviews’ dropdown! 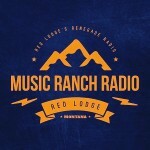 Thanks Jimmy and Music Ranch Radio! Here are cliffnotes from the interview… but you’ll want to listen to it!! 1:15 Quenby reminisces about her history with music and the country music genre – big fan of The Mavericks (Raul Malo), Wanda Jackson. 16:50 Priceless experience earned observing and helping Sean Devine record his album ‘Austin City Blues’ in 2014. 21:13 Kevin Toll played with Quenby when she first toured MT in the winter of 2013 and is still playing with the band. 32:20 Jimmy & Quenby talk about songwriting and life in the big city as compared to life in Montana. 40:00 Sharing family stories as Quenby is with family in Wayland, MA after her mother’s passing. Quenby found a certificate of appreciation from MIT that was given to her mother for work done on the Apollo space mission. Jimmy learned for the first time upon his father’s passing that his father had brothers. Jimmy, “Always sad when you lose somebody, but always great to look at the memories and pass those along.” How true! This entry was posted in Radio shows and tagged Quenby, Quenby and the West of Wayland Band on November 10, 2016 by admin. Radio Not Silent – KGLT Makin’ Some Noise! Hey fellow fans! While we bide our time this October, waiting for Quenby to get back to Montana playing her live shows in November, we’ll be adding some new material for you to explore here on the www.quenbywowband.com website. 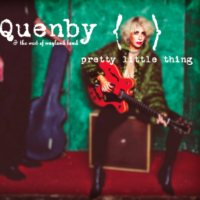 I had the pleasure of joining Quenby in the KGLT studio with Bob Butts this spring (June 7, 2016) to reminisce about the making of Pretty Little Thing. You can check out the show now through the link under the ‘Press/Interviews’ dropdown, along with the fun KGLT Station Identification spot – she nailed it! Thanks Bob and KGLT! Here are highlights and ‘shoutout’ times from the discussion…. Enjoy!! Visit www.quenbywowband.com for your copy of PLT!! 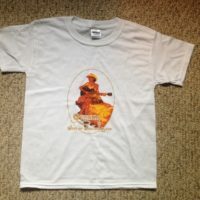 Check out lyrics, schwag, and the inside story! This entry was posted in Radio shows and tagged Quenby, Quenby and the West of Wayland Band on October 3, 2016 by admin. Pretty Little Thing …available for your entertainment pleasure! The day we’ve been working towards – delivering Pretty Little Thing to YOU! You’ll find this photo montage within the CD jacket… fond memories from the first recording session in November 2015 at 12th Street Sound in Austin TX. Not pictured is an awesome collection of musicians and personnel including Claudia and Tessy Lou Williams (so wonderful to have the amazingly talented mother/daughter duo participate! ), and our local heros of the electric guitar – Kevin Toll and Sean Devine!! – and, of course, Fred Baker, master of mastering, at Electric Peak S in Gardiner, MT. A HUGE thank you to everyone involved! Click to buy the PLT Album! You will now find the PLT album available in ‘the shop’ along with lyrics and links to listen to the new tunes… You can download the entire album, order a hard copy of the CD, or download individual tracks. Enjoy! This entry was posted in New Album, Weekly events and tagged Quenby, Quenby and the West of Wayland Band on April 29, 2016 by admin. 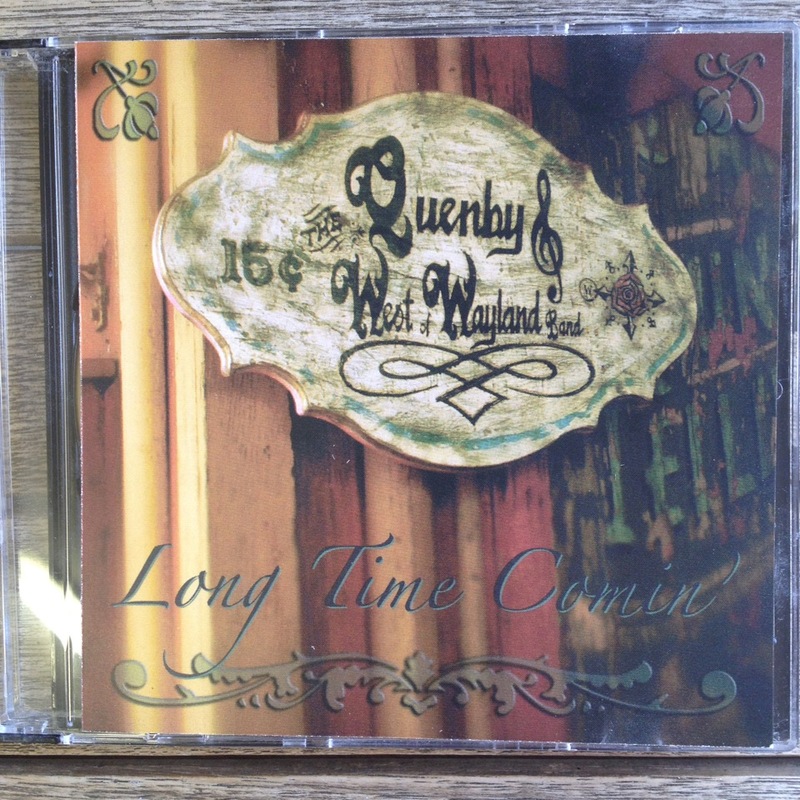 Long Time Comin’ Now Available as a Digital Download! New things are comin’…If you don’t own it already, check out ‘the shop’ where you can now purchase *in digital format* the WOW Band’s first album, “Long Time Comin'”. You can download the entire album, order a hard copy of the CD, or download individual tracks. Buy the entire LTC Album! The new album, ‘Pretty Little Thing’ arrived yesterday so we are having a big party to celebrate the official release on Friday and Saturday, April 29th and 30th at the Eagles in Bozeman! Come get your copy! If you like shopping record stores, Cactus in Bozeman and Conley’s in Livingston will also have copies for sale. And for all you forward-thinking hipsters out there, a downloadable version of the entire album as well as single tracks will also be available on the website starting Friday. Bring all your friends to the Eagles for the celebration with great music from Quenby and her fabulous West of Wayland Band playas – featuring Kevin Toll, Tom Day, Michael Hoffman and Brian Kennedy! Monday, May 2, Quenby and Jason Uhlmann will be at Neptunes Brewery in Livingston. and then Quenby takes off for her Boston-area tour for 3 weeks! Let’s send her off with our presence this week in celebration of this great new studio compilation! PRESS/INTERVIEWS tab >> new stuff!! Including a KGLT radio interview from 2013 dredged up from the annals of time with Quenby and Bob Butts… a GREAT listen! SHOP tab >> See the new Long Time Comin’ music options in CD, Digital album or singles! This entry was posted in New Album, Weekly events and tagged Quenby, Quenby and the West of Wayland Band on April 27, 2016 by admin. Giving Week and Anticipating the PLT CD! Fingers crossed, the Pretty Little Thing CD will be shipped as anticipated this coming Tuesday; meaning… we’ll hopefully have them ready for all you dancers and music fans who’ve been waiting for our Eagles gig next weekend! Photo from Bozeman Spirits from April 19, 2016 by Jake Tocco! This entry was posted in Weekly events and tagged Quenby, Quenby and the West of Wayland Band on April 21, 2016 by admin. ‘No Sweat’ by the legendary Pinto Bennett… our final feature song in PLT! It’s happening ~> the album is off to be printed, and we’re wrapping up our song features from ‘Pretty Little Thing’ with “NO SWEAT”. This week Quenby spoke with Pinto Bennett, who has given his blessing of the inclusion of this song in the new album. Respected friends Kip Attaway, David Lyle Evans and Bob Z, all encouraged Quenby to meet Pinto and play with him – which she did with Claudia Williams last fall in Jackson Hole – it brings great pleasure hearing Claudia join in on this song for the recording! There you have it folks! 11 songs featured now over the last 11 weeks! Mention ‘No Sweat’ or ‘Pretty Little Thing’ at Stacey’s this weekend or at Bozeman Spirits next week and win a free Quenby and WOW band t-shirt in celebration of the new release! This entry was posted in New Album, Weekly events and tagged Quenby, Quenby and the West of Wayland Band on April 14, 2016 by admin. Anywhere? How about where Calamity Jane was rumored to have spent a night in the early 1900’s? This is a remarkable week in the life of our faire Quenby… who has moved into not just “Anywhere”, but part of her new home in Livingston! This is also the name of the 10th and second to the last featured song for the new album ‘Pretty Little Thing’ – and next week we will cover the final of the 11 songs you’ll find on the new album. We are so close to sending it to press! This entry was posted in New Album, Weekly events and tagged Quenby, Quenby and the West of Wayland Band on April 8, 2016 by admin. This week we are featuring ‘Russell and Ronnie’ a tale that belays it’s peppy demeanor — sometimes the plain facts of a matter are so bad all you can do is play Zydeco. Definitely a very fun song to dance too! tries to get your little lady on his knee. he mistook her for his own. and his own wife’s love’s gone cold. taking each other’s wives ain’t no joke. you’d better hope he’s drunk his weight in booze. Come out this week and mention this blog post ‘Russel and Ronnie’ or ‘Pretty Little Thing’ to Quenby at a gig. 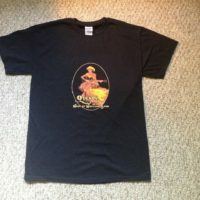 If you are the first person to reach out you will win a FREE Quenby and WOW band t-shirt in celebration of the upcoming new album… just a few weeks away until the release! 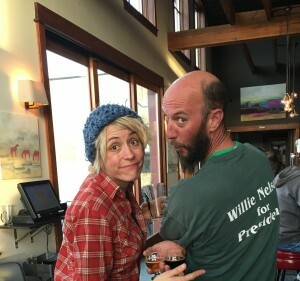 Tuesday, March 28 at Neptune’s Brewery in Livingston, MT @ 5:30 pm – 8:00 pm … enjoy sushi and fine local brews with solo acoustic Quenby! 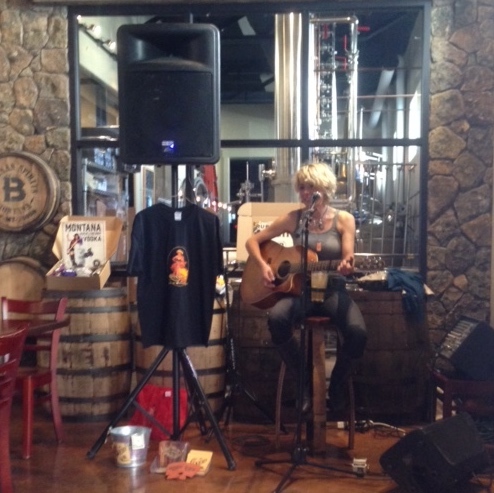 Saturday, March 29 at Blackfoot Brewing in Helena, MT @ 5:00 pm – 7:00 pm … more solo acoustic Quenby! Friday, April 1 at Mixers in Bozeman, MT @ 9:30 pm … come dance with the full band! This entry was posted in New Album, Weekly events and tagged Quenby, Quenby and the West of Wayland Band on March 29, 2016 by admin. Come out this week and enjoy the full version! REMEMBER >> mention having read about the feature song in this week’s blog or the title track, ‘Pretty Little Thing’, at one of the this week’s gigs and win a FREE Q & WOW band tshirt in celebration of the upcoming new release. **Tonight** Sunday, March 20 at the Kountry Korner Cafe in Four Corners, MT @ 5:30 pm – 8:30 pm …solo acoustic eve with Quenby to accompany your dinner. Tuesday, March 22 at Bozeman Spirits in Bozeman, MT @ 5:30 pm – 7:30 pm … enjoy a cocktail with some great solo acoustic Quenby! This last weekend was a blast at the Eagles dancing – both nights we had a great turnout of dancers! Just a reminder to dancers and fans, grab that tip bucket and take it for a spin around the venue to share with your friends – it totally makes a difference! The band so enjoys feeling our love! And finally, album updates!! Quenby received the final mixes from the consummate Kevin Szymanski at Austin’s 12th Street Sound and she’s transporting them next to Fred Baker for mastering with Electric Peak Recording in Gardiner, MT. Design for the album jacket is also underway at Rancid Ranch Design in Round Rock, TX, with text sent and images that were from the sassy photo shoot from October, along with other bits gathered along the way like from the first recording session in November. Things are coming together! Cheers! ~ post by Heidi aka super fan… who is sooo going to apre ski this week! This entry was posted in New Album, Weekly events and tagged Quenby, Quenby and the West of Wayland Band on March 20, 2016 by admin.